Well, with our car packed up, including our Ragdoll, Rosie, we headed to this land of the pines to build a home and set down roots. Every time we crossed into another state, we played this song. Trim Soft Finish 100lb White card stock to a 5 1/2″ x 5 1/2″ card. 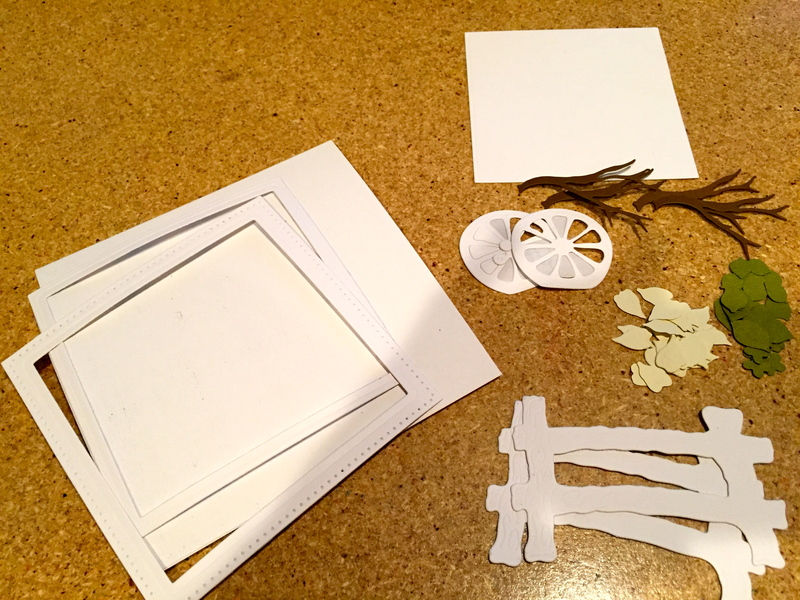 Out of the same card stock, but with Clear Double Sided Adhesive I die cut Fitted Squares and Stitched Squares and my CountryScapes Country Fence, Wagon Wheel, Lying Cat and Cardinal. 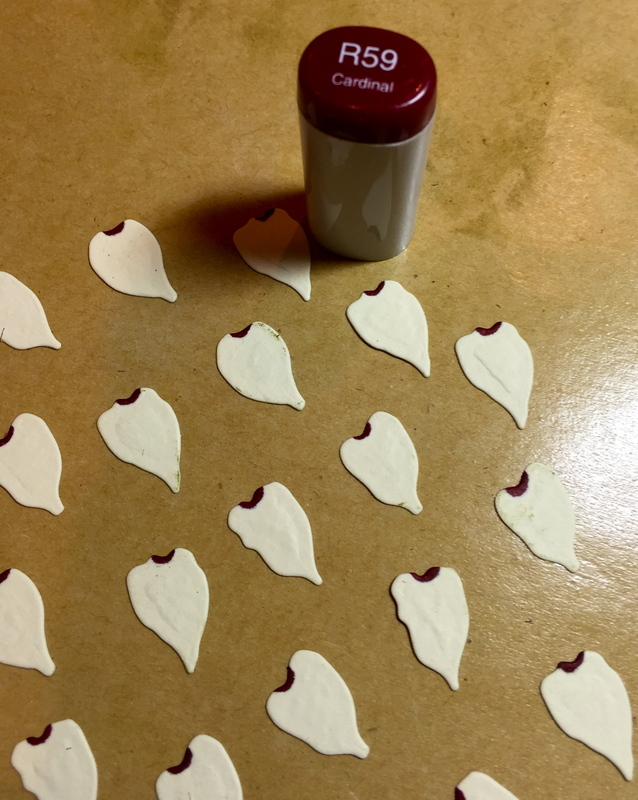 I die cut Garden Edges Daffodils and Tulips from Soft Finish 85lb White Cardstock (Petals out of Premium Palette/Crimson Red). 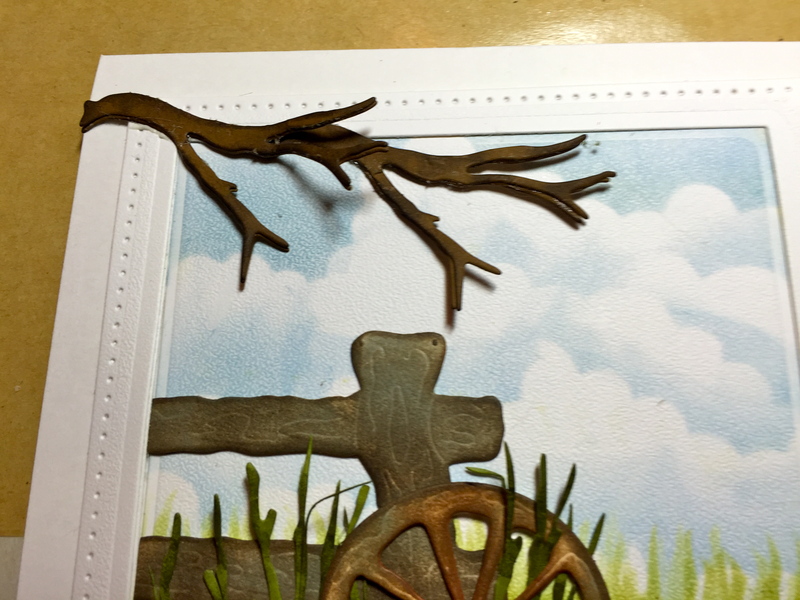 I used the larger branch, from Woods 1 tree and die cut it 4 times in Premium Palette/Dark Brown (I like to add dimension). 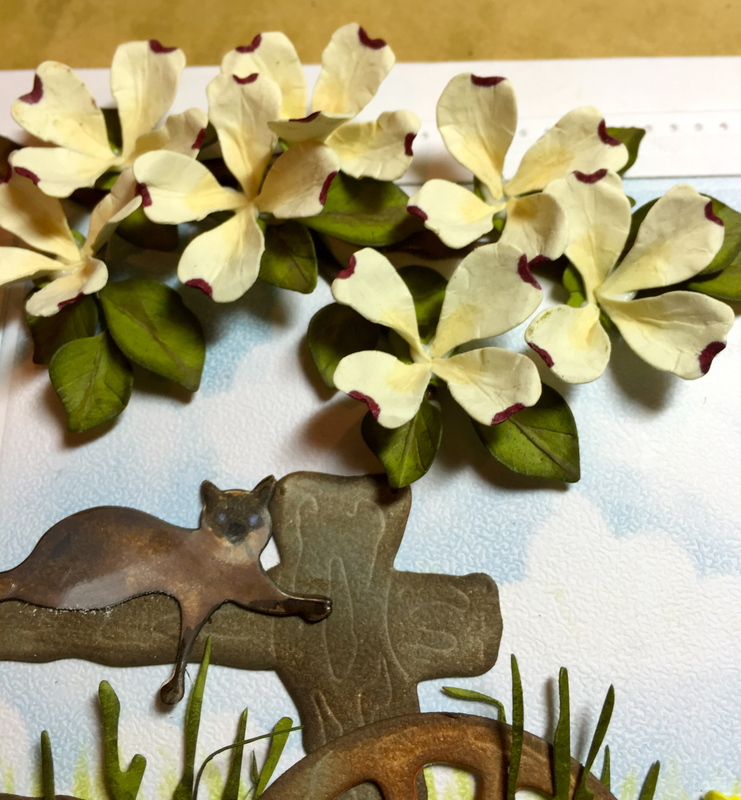 The Dogwood petals were die cut from Bazzils Prismatic Paper in Cream and the leaves and grasses around the fence were die cut from Premium Palette/Olive. 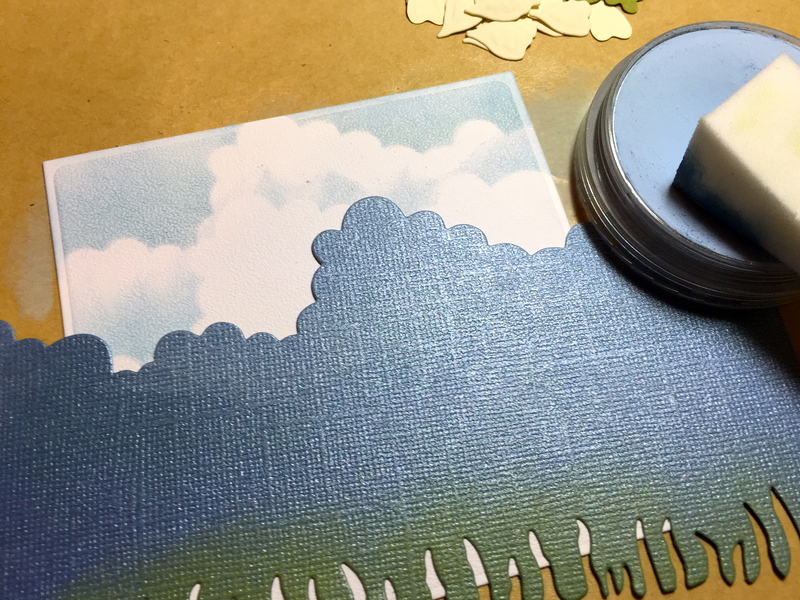 I also made a template from my Cloud & Grass die so I could color the background square. 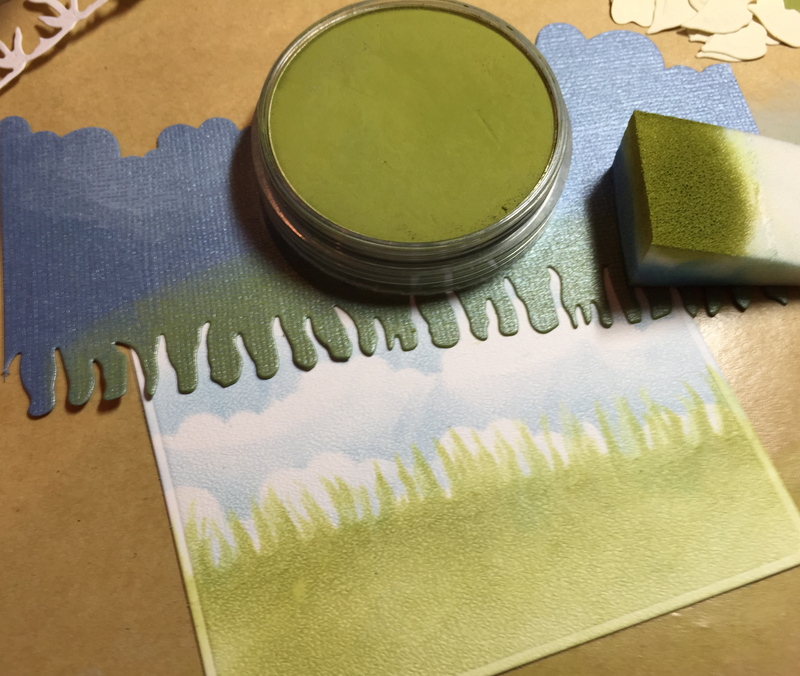 I used PanPastels-Set 2 Phthalo Blue Tint for the Sky and Bright Yellow Green Shade for the grass. 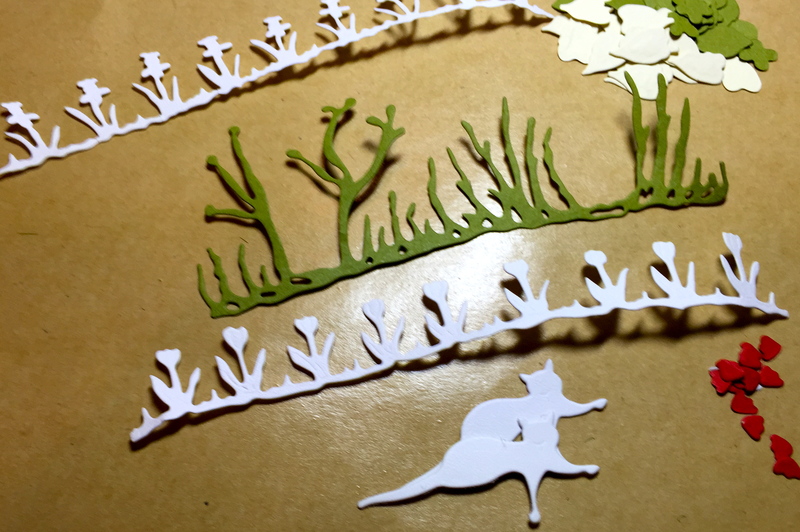 I love coloring and that’s why I die cut in white. 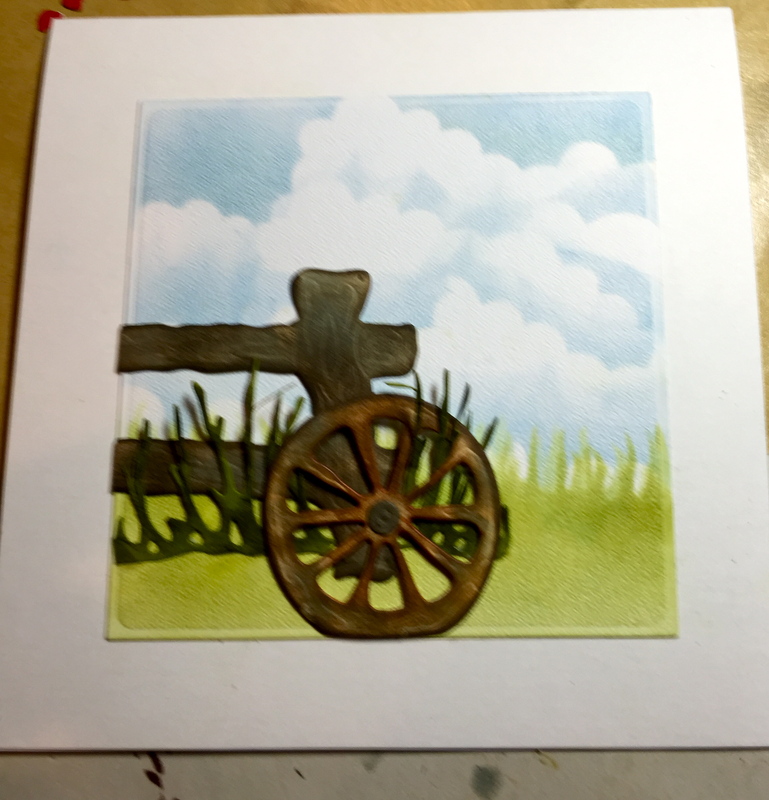 I used a combination of Ranger’s Distress Inks to shade my Country Fence and Wagon Wheel. I shaded the grass with some Distress Ink too. 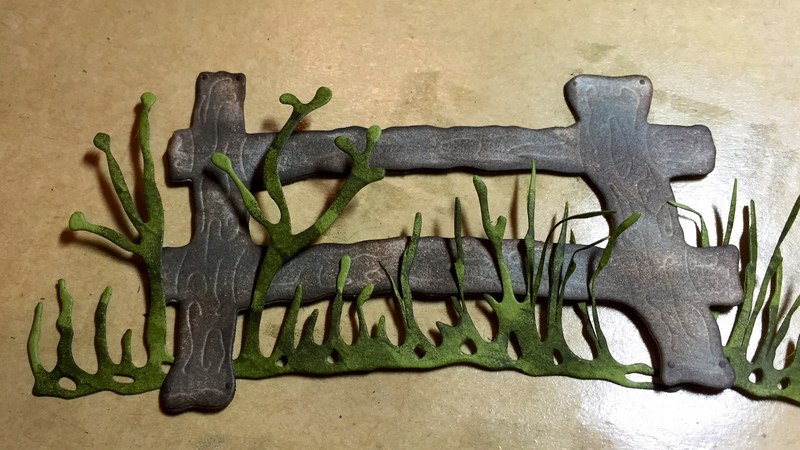 Also, I trimmed the fence, but save any pieces for other projects! Add the wagon wheel. Add the Stitched Square frame around your square. Glue the limb pieces together to make two separate sections. 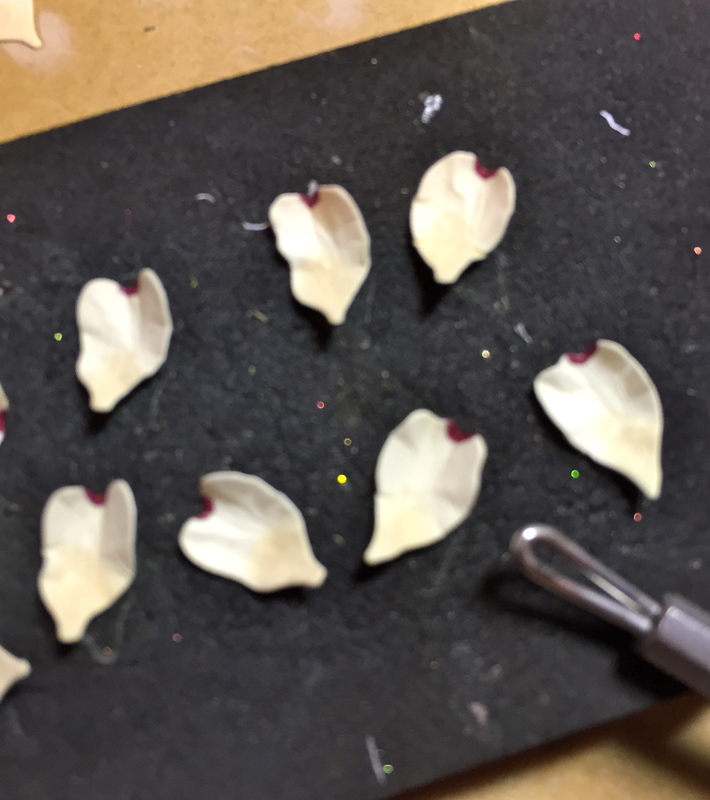 To create the Dogwood, I first cup the “calyx” and place them along the branches. 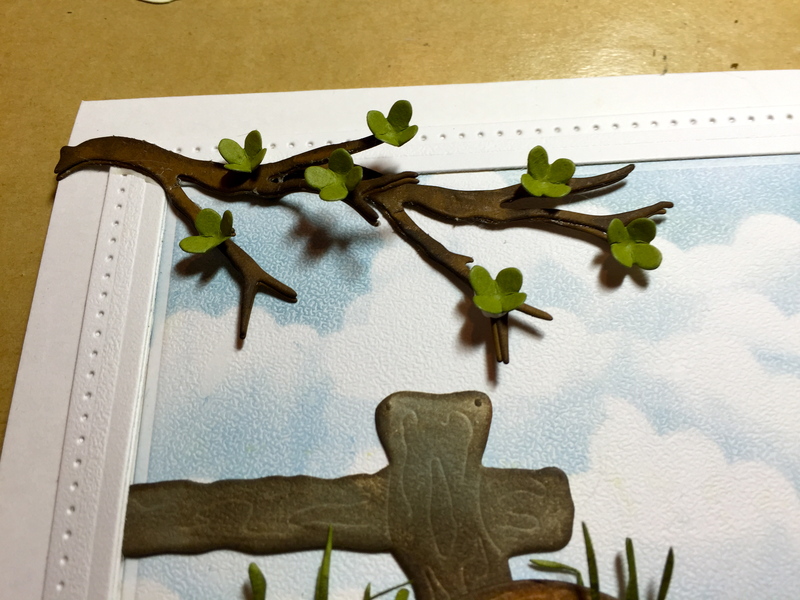 Doing this ahead of time and allow them to dry while you create the leaves and flowers. 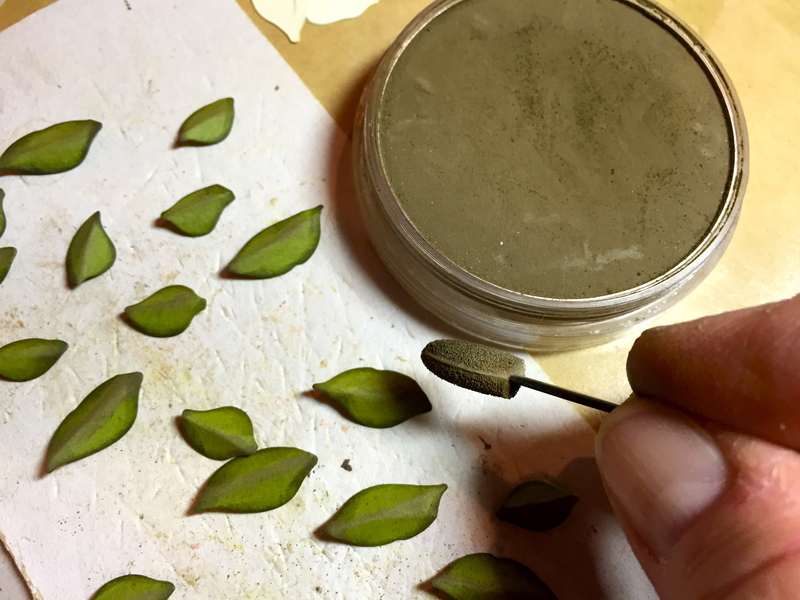 Leaves are very important in creating the most natural looking flowers. I first shaded all the dogwood leaves with Distress Ink/Forest Moss on the edges. 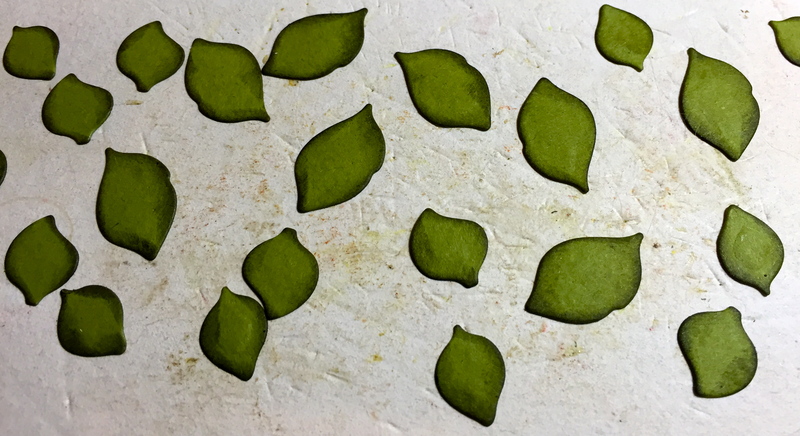 Place the leaves, right-side-down, on the Leaf Pad and add a stem line using the Leaf Tool. Bend the leaf in half along this line. Using PanPastel-Set 3, Raw Umber, shade down this line. 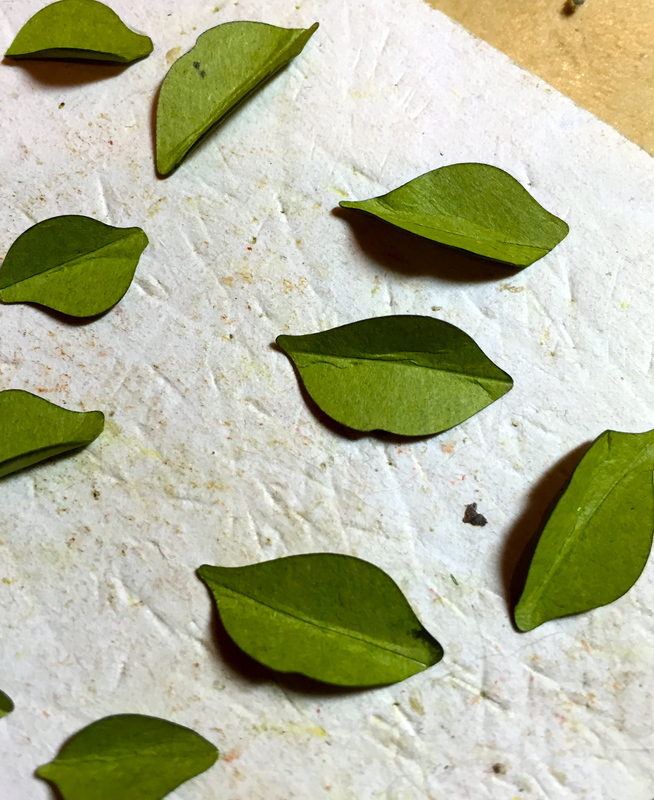 Place the leaves, right-side-up, on the Leaf Pad and add vein lines. Pinch and bend as directed on my YouTube videos. Place leaves on the branches. For the Dogwood…first, shade the tips with Copic Marker R59, then place the petals on a non-stick sheet and shade the stem end with PanPastels Set 3/Yellow Ochre Tint. 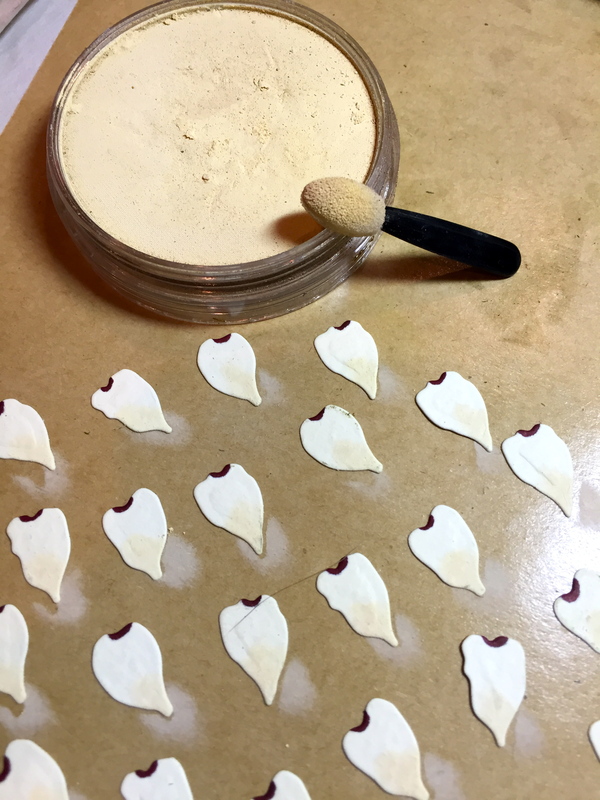 Shape the Petals on the Molding Pad using the Small Loop Tool. Set four petals per calyx on the branches. 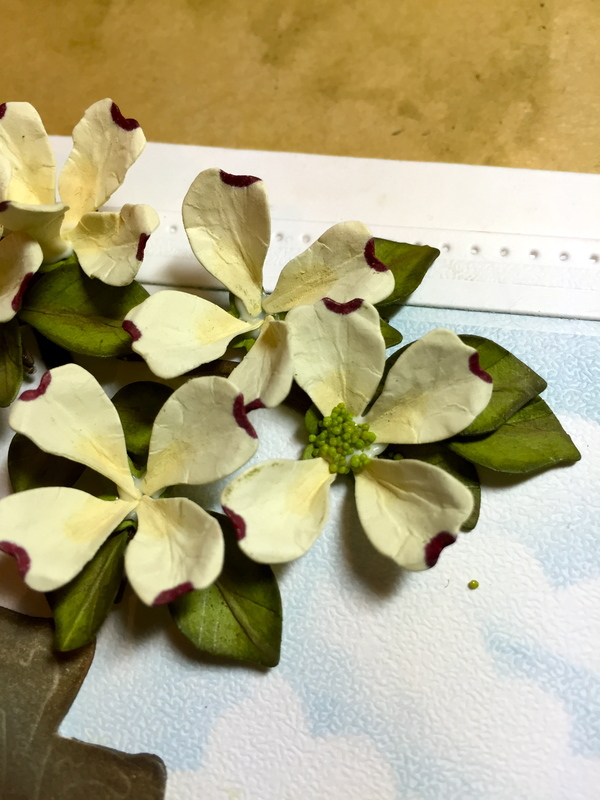 Finally, I used a toothpick to dab a small amount of glue to center of each flower and sprinkled Prills/Ribbit to resemble the “bracts” of the Dogwood. Well, it’s rainy and windy today with threats of severe thunder storms or a tornado, but I’m happy and this is a memory I cherish. Premium Palette Cardstock (coming soon)-Dark Brown #PPC06, Olive Green #PPC35, and Crimson Red #PPC10. Ranger Distress Inks/ Walnut Stain, Weathered Wood, Gathered Twig, and Forest Moss. Thanks Debbie. Very much a cherished memory. Love the detail, esp the cat lounging on the fence! Oh Susan, I love it! Your projects have inspired me to do more with flowers. Thank you so much Susan. I love your work and appreciate all that you teach & share with everyone. But more importantly, I love the personal sharing you do – heart & soul – hanging it all out there. Every time I see a card you make and your feelings of when you made it, it just inspires me! You are truly an inspiration to us all. Thank you Carole. I am inspired by all of you that belong to the Garden Club! I really love this scene! The dogwoods, tulips and kitty and… everything! I love the perspective you created with this picture. The dogwood blossoms look awesome. It’s as if I am standing beneath a low hanging branch and looking into the distance. Well done as usual. Thank you so much for sharing your precious memories of Kellie and Caroline! I have a home in Wilmington with a large pink dogwood in my front yard. I don’t see as many of the pink ones as I used to see when growing up in the Goldsboro area. I currently live in North Florida but I do return to my home in Carolina as often as I can…it will always be my home. Enjoy your gorgeous Spring and keep making and sharing your precious memories as sharing memories does keep your loved ones alive. Hugs to you my sweet Susan. All 4 of these scenes are so fun.